From left to right: Volunteers Carolyn, Elizabeth, and Stephanie, Carolyn Drover, Catherine Flowers, Volunteer Kristen, Sarah Matl, and Erin Anuzis – all the MMSC employees, interns, and volunteers that were working to greet and check guests in. Photo by Susanna Thomas. Lexington, KY. October 7, 2016 — Maker’s Mark Secretariat Center (MMSC), a premier non-profit re-schooling facility for adoptable Thoroughbreds located at the Kentucky Horse Park, hosted a movie night featuring the award-winning documentary, Dark Horse. The Dark Horse Movie Night took place on Thursday, October 6th at the historic Kentucky Theater at 214 East Main Street. The money raised from ticket proceeds will benefit MMSC’s initiatives to find a second career and future homes for off the track Thoroughbreds. Each horse is taught new skill sets through their re-schooling program while embracing the breed’s physical and emotional strengths and limitations. Dark Horse is a documentary based on a true story about Dream Alliance, a horse born and bred by a syndicate in a depressed South Wales mining village. This horse performed against all odds and conquered the world of racing. The event had open seating; VIP tickets provided patrons with access to the complimentary wine bar. About Maker’s Mark Secretariat Center: The Maker’s Mark Secretariat Center (MMSC) is a premier non-profit re-schooling facility and showcase for adoptable Thoroughbreds. Founded in 2004, the MMSC uses its illustrious location in the Kentucky Horse Park to herald the athleticism of this amazing breed by teaching new skill sets to horses of all levels of ability so they can go on to be ambassadors for racehorses in new careers. After crossing the finish line, participants headed to the Maker’s Mark Secretariat Center for a family fun day, where they had the opportunity to paint and decorate their own genuine horseshoes, take pictures with the Secretariat statue, watch the off-the-track Thoroughbreds play in the arena, groom a horse, and even dress like a jockey. The Maker’s Mark Secretariat Center is a premier reschooling facility and showcase for adoptable Thoroughbreds. Founded in 2004, the MMSC uses its illustrious location in the Kentucky Horse Park to herald the athleticism of this amazing breed by teaching new skill sets to horses of all levels of ability so they can go on to be ambassadors for racehorses in new careers. 261 Madison Avenue, 9th Fl. WESTPORT, CT – September 27, 2014 – The EQUUS Foundation will serve as the title sponsor of America’s Most Wanted Thoroughbred Contest, the feature event of the Retired Racehorse Project’s Thoroughbred Makeover: A Marketplace and National Symposium, October 4 and 5 at Pimlico Race Course in Baltimore, Maryland. 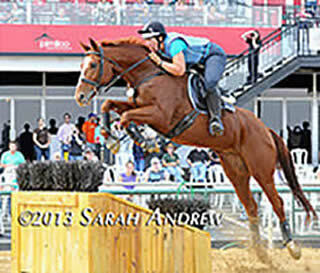 Ten Thoroughbred ex-racehorses trained in ten riding disciplines will compete for the title and $10,000 in prize money. Online followers will vote for their favorite contestant from September 25-28 and again during the event itself. Hall of Fame Jockey Chris McCarron, America’s first female jockey Diane Crump, and Hall of Fame show rider and leading Maryland racing trainer Rodney Jenkins will comment on the performances and question the trainers about their methods. The event can be viewed via live stream at Bloodhorse.com. The contestants represent the sports of dressage (Nuno Santos with Now and Then), eventing (Phillip Dutton with Icabad Crane), foxhunting (Christy Clagett with Saba Rock), show jumpers (Armand Leone and New Vocations with Discreet Dancer), show hunters (Bev Strauss and Mid-Atlantic Horse Rescue with D’Sauvage), polo (Juan Carlos Gonzalez and Marisa Bianchi with It’s A Little Chilli), ranch work (Dale Simanton with Rikim), barrels and western dressage (Patrick King with Pookie’s Princess), steeplechase (Jazz Napravnik with So Outspoken), and Pony Club (Hannah Gilhool with Mad Bomber). “We wholeheartedly support the Retired Racehorse Project’s efforts to increase the demand for retired Thoroughbred racehorses and welcome the opportunity to help build public awareness through our sponsorship of the America’s Most Wanted Thoroughbred Contest,” said EQUUS Foundation President Lynn Coakley. For more information on the America’s Most Wanted Thoroughbred Contest, click here. The EQUUS Foundation, a 501(c)(3) public charity established in 2002, also known as Horse Charities of America, is dedicated to improving the quality of life of horses, enabling the therapeutic use of horses for those in need, fostering the horse-human bond, and educating the public about the horse’s unique ability to empower, teach and heal. Donations are tax-deductible to the full extent of the law. Contact the EQUUS Foundation, Inc., at 168 Long Lots Road, Westport, CT 06880, Tele: (203) 259-1550, E-Mail: equus@equusfoundation.org, Website: www.equusfoundation.org. The Retired Racehorse Project (RRP) works to facilitate placement of Thoroughbred ex-racehorses in second careers by increasing demand for them in the marketplace and inspiring an army of equestrians to provide the training that secures their futures. RRP offers online directories, educational resources, and public events including the Thoroughbred Makeover: A Marketplace and National Symposium on the first weekend of October at Pimlico Race Course. www.retiredracehorseproject.org. GEORGETOWN, KY – September 25, 2014 – Old Friends, the Thoroughbred Retirement Center in Georgetown, KY, is pleased to announce the arrival of stakes winner and Breeders’ Cup contender Daytona. A California star on the turf, Daytona was bred in Ireland by the Irish National Stud and campaigned in the U.S. by conditioner Dan Hendricks. A six-time stakes winner, he was in the best form of his career in 2007 and 2008 when he won the Grade 2 Oak Tree Derby, Grade 1 Hollywood Derby, and Grade 2 San Gabriel Handicap in late 2007, and three of his first four starts of 2008, including the Grade 1 Shoemaker Mile at Hollywood Park. In 2008 the chestnut gelding finished 10th to super mare Goldikova in the Breeders’ Cup Mile at Santa Anita after tearing a tendon mid race. He attempted to return to the track in 2010 but could not recover his form and was retired. In 18 starts Daytona had eight wins and career earnings of $991,690. Now 10 years old, Daytona has been generously donated to Old Friends by his current owners, Jocelynn Morgan and her husband, veterinary surgeon Dr. Joseph Morgan of Lexington. Mrs. Morgan had retrained Daytona for a hunter-jumper career but soundness issues have continued to hamper his progress and she felt permanent retirement was now in his best interest. “Daytona is such a cool little horse – very bold and fun to ride,” said Mrs. Morgan. “We are saddened to see him leave our farm but happy that he will get to show off his huge personality to his admirers at Old Friends. For more information about Daytona or Old Friends, see their website at www.oldfriendsequine.org or call the farm at (502) 863-1775. MMSC Board Member Louise Riggio among guests at Sips ‘N Saddles. Photos: Philippe Cheng Photography. Lexington, KY. September 19, 2014 – Kentucky’s reputation is built on horses and bourbon. The Maker’s Mark Secretariat Center (MMSC) paid homage to both at the second annual Sips ‘N Saddles on Friday, September 19th. The theme Kentucky Proud was threaded into all aspects of the event, from food and beverages to music and entertainment. Farm-to-table Lexington restaurant Holly Hill Inn, Kenny’s Farmhouse Cheese in Barren County and Ayres Family Orchard overlooking the Kentucky River Valley provided dinner at the event. Guests enjoyed beverages from Lexington’s Grimes Mill Winery and West Sixth Brewing Company, and Maker’s Mark concocted a signature drink especially for the evening. Winchester’s Ale-8-One supplied a slushie machine, inviting guests to flavor Maker’s Mark and Ale-8-One soda drink slushies. In between bites and sips from acclaimed local vendors, guests danced the night away to bluegrass tunes performed by Lexington band NewTown and participated in horse and ranch-themed challenges such as horseshoes, lasso tossing and more. Former professional football player Jeff Tow Arnett will speak about his newfound love of Thoroughbreds and his decision to adopt from the MMSC. 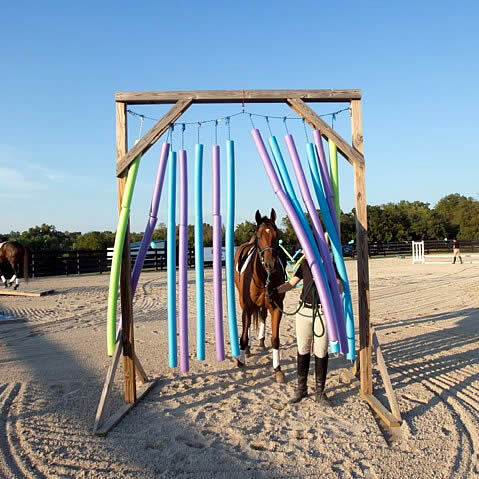 MMSC Director Susanna Thomas led a demonstration of her unique and effective Horse Centered Reschooling Program, which can prepare an off the track Thoroughbred for a second career in an average of 42 days. Guests were able to see firsthand how MMSC staff starts each horse’s education with natural horsemanship and bombproofing, followed by long-lining training, and then starting to build each horse’s knowledge base under saddle with classical dressage schools and basic jumping lessons. Thomas talked about each horse’s backstory and personal journey as it exhibited its new skills during the demonstration, explained each step of the process, and highlighted the athleticism and versatility of Thoroughbreds. MMSC graduate Warden’s Choice showed off his new jumping skills with owner and MMSC Head Rider Carolyn Drover, and another graduate, Tidings, wowed guests with her new career as a polo pony with her current trainer, University of Kentucky polo team member Emma Oakley. MMSC ambassador Patrick Henry also made an appearance. His owner, Louis Riggio, and trainer, Melissa Murphy, joined Thomas to speak about the Patrick Henry Project and bringing Thoroughbreds back into prominence in the show ring. Photo of Gameday News © Laura Battles. 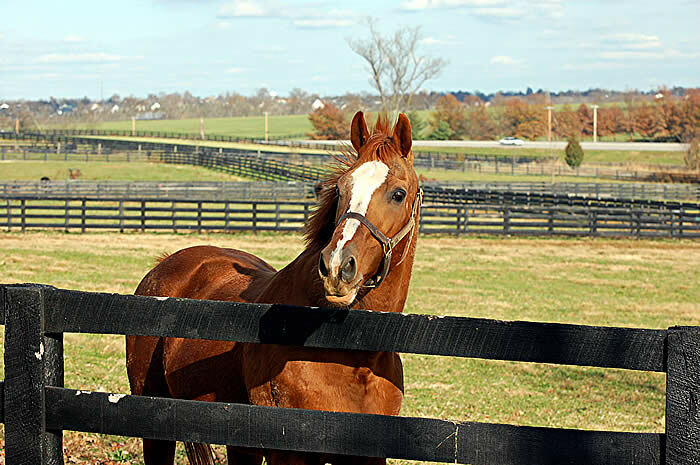 GEORGETOWN, KY – MARCH 10, 2014 – Old Friends and New Vocations have entered into an agreement to benefit Thoroughbreds in their post-racing and post-breeding careers. The two organizations each fulfill a different aftercare need. New Vocations places off the track Thoroughbreds with new owners in new careers, while Old Friends is primarily a home for those who, due to old age or physical issues, require permanent retirement. But with time and care, some horses’ needs change. That happened for Gameday News, owned and trained by D. Wayne Lukas. The son of Corinthian broke his maiden on March, 2012 at Oaklawn Park. Following a few allowance starts, he injured his ankle, and with the help of Old Friends Board member Cathy Riccio, he was retired to Old Friends. After nearly two years of care and paddock rest, Gameday News received clearance from Dr. Steve Allday, who x-rayed the site of his healed injury and pronounced the five-year-old fit and ready to enter a new career. Gameday News will always have a home available at Old Friends when his second career ends. New Vocations focuses on rehabbing, retraining, and rehoming retired racehorses. Gameday News entered the retraining stage of the program in late March and has already been started back under saddle. He will be available for adoption in the near future. To learn more, go to www.newvocations.org. Lexington, KY – May 12, 2013 – Based at the Kentucky Horse Park, the Kentucky Spring Horse Shows are pleased to highlight the efforts of Thoroughbred horses competing in the show ring. This year, the show features the Take2 Second Career Thoroughbred Program for retired racehorses. The 2013 Hagyard Challenge Series will also once again feature a high point Thoroughbred Award with a $10,000 prize. The Take2 Second Career Thoroughbred Program for retired racehorses offers awards and prize money in hunter and jumper classes restricted to Thoroughbreds. The Kentucky Spring Horse Shows feature the $1,500 Take2 Thoroughbred Hunter division and the $1,000 Take2 Thoroughbred Jumper division. It is open to Thoroughbreds only that have either their Jockey Club certificate of registration, a lip tattoo, or a letter from the Jockey Club verifying the horse’s identity. For more information and the complete 2013 schedule, please visit www.take2tbreds.com. The Hagyard Challenge Series consists of seven grand prix classes to be held during the 2013 show series at the Kentucky Horse Park. Following the final event, a $10,000 prize will be presented to the high point Thoroughbred participating in the Series. To be eligible for the Thoroughbred award, horses must be registered with the Jockey Club or have a verifiable lip tattoo. The kick-off event, the $25,000 Hagyard Lexington Classic, was held on Thursday during the Kentucky Spring Classic. Pablo Barrios currently leads the standings for the $50,000 Leading Rider Bonus, after winning the first competition with Zara Leandra. Next week during the Kentucky Spring Classic, riders will return to the Rolex Stadium for the second $25,000 Hagyard Lexington Classic. Hagyard Equine Medical Institute is one of the oldest and largest equine veterinary practices in the world. Founded in 1876, the institute offers a staff with qualifications unparalleled by any single non-university veterinary group in the equine industry, and Hagyard veterinarians have dedicated themselves to the health and well-being of the horse for more than 135 years. The facility at Hagyard Equine Medical Institute offers 13 Digital Radiology systems, 1.5 Tesla Siemens MRI, Nuclear Scintigraphy, a high speed treadmill, an on-site laboratory, an on-site pharmacy, full surgical services, 24-hour ambulance and emergency services, and Hyperbaric Medicine. The institute has practiced veterinary medicine for more than 135 years and is currently composed of over 50 experienced veterinarians, with 12 board certifications in specialty areas of Medicine, Surgery, Critical Care, and Theriogenology. Several generous sponsors have helped make this exciting series event happen. These gracious supporters include: title sponsor MWI Veterinary Supply, and presenting sponsor Zoetis, as well as Audi of Lexington, Dean Dorton Allen Ford, Hagyard Flex-tra HA, Johnson Horse Transport, Hallway Feeds, Kirk Horse Insurance LLC, Pike and Preston, and Stoll Keenon Ogden. For more information about the Hagyard Equine Medical Institute, please visit http://hagyard.com. 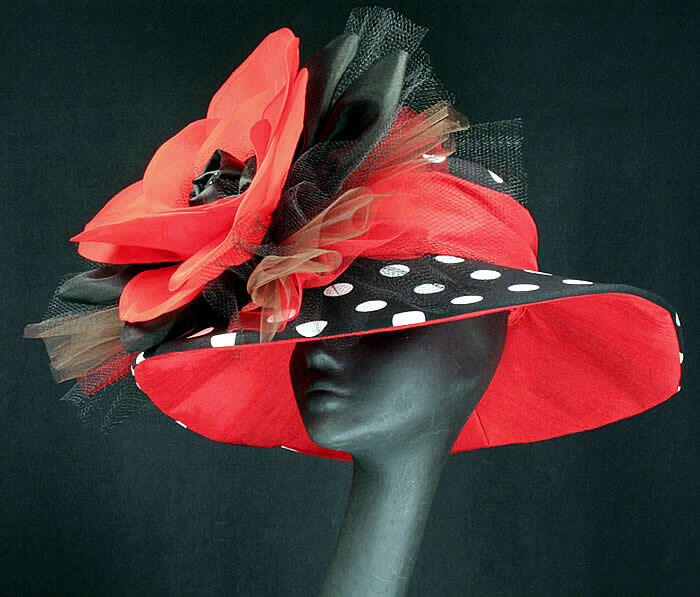 GEORGETOWN, KY – FEBRUARY 5, 2013 – “Hats Off to the Horses: The Road to the Derby,” the 4th Annual Online Charity Auction produced by Old Friends, the Thoroughbred Retirement Facility, and custom millinery Maggie Mae Designs, continued February 1st as bidding opened on a new handcrafted Kentucky Derby Hat. Old Friends opened bidding on “The Popcorn Deelites,” a beautiful chapeau honoring the gelding more famous for his role in the film Seabiscuit than his years in the claiming ranks on the racetrack. Bidding will be conducted for 10 days only. Go to the Old Friends website at www.oldfriendsequine.org and follow the link. The hat can also be viewed by visiting www.maggiemaedesigns.com. GEORGETOWN, KY — FEBRUARY 1, 2013 — Marquetry, a GR1 winner and top sire, died today at Old Friends, the Thoroughbred Retirement Facility in Georgetown, KY. The 26-year-old stallion was humanely euthanized after an accident in his stall. Veterinarians from Hagyard Equine Medical Institute attended to him, and a full necropsy report is expected in a few days. Michael Blowen, president and founder of Old Friends, made the announcement this afternoon. Marquetry, by 1982 Horse of the Year Conquistador Cielo out of the Vice Regent mare Regent’s Walk, won 10 of 36 career starts and retired with earnings of $2,857,886. He was a Grade 1 winner on both dirt and turf, registering victories in the 1991 Hollywood Gold Cup Handicap (G1), 1992 Eddie Read Handicap (G1), and 1993 Meadowlands Cup Handicap (G1). He is the sire of Breeders’ Cup winners and Eclipse sprint champions Artax (1999) and Squirtle Squirt (2001). GEORGETOWN, KY — SEPTEMBER 29, 2012 — Sarava, winner of the 2002 Belmont Stakes, has been retired to Old Friends, the Thoroughbred Retirement Center in Georgetown, KY.
Co-owners Gary Drake of Louisville and Paul and Susan Roy of Great Britain donated the 13-year-old stallion to the organization. Sarava arrived at Old Friends early this morning from the Appleton family’s Bridlewood Farm near Ocala, FL, where he has stood stud since 2010. Bred in Kentucky by Bill Entenmann’s Timber Bay Farms, Sarava was sired by 1984 Breeders’ Cup Classic winner Wild Again and is out of the Deputy Minister mare Rhythm of Life. He career boasted three wins from 17 starts and earnings of $773,832.